seems like just yesterday i was nervously writing my first few posts, wondering who in the world would read them. over the year, i've learned that blogging is hard work, and, as an already busy mom of two, your comments motivate me and make all time spent worthwhile. in appreciation of your time spent following along and commenting, i'm giving away two sets of fabulous items from [oomph.] and my wonderful sponsors, blue vanilla, jackie's mark. eboutique, and heatfelt stuff. since we are transitioning from summer to fall, you can choose between a [summer.] set or a [fall.] set...or, if you fancy both, you could try for a chance at sweeping all 10 prizes! giveaway open to all. ends weds, sept 21.
can't wait for many more! Happy blog anniversary! I'm happy for you! I followed your blog on GFC as Call me M (although I was already a follower on Bloglovin). I don't usually let my email on blogs though, to avoid spambots. However you can find it on my blog. So I don't know if you want to count me in for the giveaway (it's your choice), but just in case, I'm interested in the Summer set. Congrats! Blogging is hard work but it's so rewarding! We follow you as Style Journey on GFC. Either one of your giveaways would make us happy! I want to win "Summer"
Happy 1 year! I it my 1 yr mark last month ;P Please include me in your awesome giveaway! Happy Blogoversary! I just came across your blog and it's great, I can tell you're an amazing blogger by the amount of positive feedback you get! Would you like to follow each other? Let me know, or follow me and I'll follow back! is so amazing to know that people read your blog! CARRY on you are doing an amazing job!! thank u for the giveaway!! I like the Summer one! I`m following via GFC (beccaj)! Also, would have to say summer would be my choice, namely because I am loving that starfish cuff like nothing else = fab. I liked blue vanilla on facebook! And I'm a new follower of blue vanilla's blog via GFC! I liked jackie's mark. eboutique on facebook! And I'm a new follower of jackie's blog via GFC! I visited heartfelt stuff's etsy store. I absolutely adore little Lou, the frog plush toy. He's adorable! Happy 1st year anniversary!! wooahhh! Thanks for being a daily inspiration and looking forward for more years to come! I would like the Fall collection. 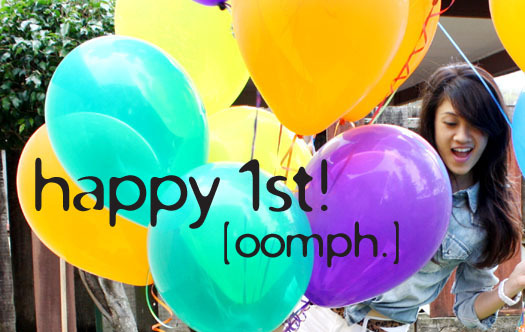 Happy 1st year ^__^ such a nice blog you did a great job. Happy Blogoversary!! You do such a great job...keep it up! I love to see your styles. You've only been at this for a year? I am impressed and congrats on the anniversary. I want the summer set and follow you on Google Friend connect. Oh, and I follow on twitter as well. Happy 1st anniversary. These are amazing giveaways. I had fell in love with that starfish cuff when you wore it in one of your posts. But I am more liking the 'fall' set. Not sure what you mean by google name? which is also how you can contact me. Pls let me know if you need some other ID name. Just liked blue vanilla and did a wall post. Following blue vanilla on twitter. Liked Jackie's Mark on facebook and posted a wall post. I am following you back! Thanks for following my blog! Your blog is darling and I can't wait to read more! Congrats on reaching the one year mark! Just stopping by to say congrats and Happy Anniversary! Well,I would obviously love to win both but I think I'm leaning toward the summer package. I have seen the starfish cuff everywhere and WANT IT! Liked Blue Vanilla on FB. Liked Jackie's eBoutique on FB. Congrats on your first anniversary! Following u on GFC! Ms.Fashionista. I would love to win the Fall collection. I liked Blue Vanilla on FB! I liked Blue Vanilla on Twitter. I don't know what a twitter handle is, but my twitter name is @FashionLaneBlog. Followed Hot Pink Days on GFC using name Ms.Fashionista. Liked jackie's mark. eboutique on Facebook. Followed There can be only one juan. Love the Coffee Cup Cozy on the Etsy store! Congrats on one year!! I hope to reach that benchmark, too. Love your style and blog! I follow you on Google Friend Connect as Van C. and would enjoy the Fall set. yay a giveaway!! happy birthday to oomph!! 1) i think i like summer more!! hey happy 1st congrats! =)) Thank you for dropping by my blog and for your sweet comment =)) am following you now.. follow each other? thanks gorjas! I am a follower & I would like to win summer-- not giving it up that easy!! the fall set would be fantastic! 5. i've followed jackie's blog! Oh, wow. What an amazing giveaway. And congratulations! Such an achievement. I would absolutely love to win both sets. They are so magnificent. Happy Blogaversary dear!!! Both are amazing options, but I think I'll sign up for the fall one, I follow you via google, "jsdonova" is my google name. And jsdonova@ualberta.ca is my email!! happy b-day to your blog!!!!!!! Ok, I'm pretty sure I follow you already :) and this is my account on Google Connect :) My email is in my blog, and I'd love to get the Summer set! Great giveaway! And omg! You're a mom of two??? Wow! I never knew that! I follow publicly on GFC as Jennifer Rote. I have to say I like both. Each has at least two items I love! I follow as Heather. I would love the fall outfit! Congratulations on the 1 year blogoversary! I hope my blog will be as successful as yours! 1) I would like to win Fall. I follow blue vanilla on twitter; @collifornia. an item i like from heartfelt stuff's etsy store is the Emma the Little Lantern Girl Brooch. Happy first birthday to Oomph! I love both collections but I'm going to choose the summer collection because of our location ;) Great giveaway! Happy anniversary!!!!!!! oh gosh, i love both sets, and i will choose the Summer one, i really love that claw bracellet!! these are great giveaways. i am inclining towards summer pieces. take care. Happy Blogiversary! You blog like you've been doing it for years! I follow under "Meri" on GFC. I like both but prefer the summer because of the jumper and the CUFF especially! what a fantastic giveaway. honestly i like both fall and summer (that cuff is amazing!). congrats on your blog anniversary, BTW!!! following GFC as Spinning Threads. I also followed Blue Vanilla on Facebook, wrote that oomph sent me, followed Blue Vanilla on Twitter (Mary and Dyer) and follow Hot Pink's blog. Thanks! Happy blogaversary! My first is tomorrow actually, pretty crazy when I stop to think about it. I would like to win the FALL set. Congrats!!!! I am a GFC follower as lewalk and the fall set is more me but I love them both. I'm all for free. lol. Like Blue Vanilla on FB and told them you sent me. Follow them on Twitter too. Also follow their blog via GFC. Like Jackie's Mark eBoutique on FB and told them you sent me. Also follow their blog on GFC. Follow Heartfelt Stuff's blog on GFC. And added them to my faves on Etsy. I love Lou the Heartfelt Frog on there. I am so digging frogs lately. Lol. Enter me please! I'm a new follower via GFC (fisiwoman). I'd like to win both prizes! Wahoo! Congrats on your one year! I've been following you for awhile on Google, name Ashley Alan. My email is stylecurrent@gmail.com. I'd like to win both! I'm a follower.. Courtney B is my name! Love both sets but I'd choose the fall set! I'm glad to find your blog so that I can now follow you through GFC as Kish...and to have a chance at winning your summer set giveaway! liked blue vanilla and put the msg on the wall . following with gfc there can only be juan . I would like to win both. I'm sorry that i read it just right now, but happy anyversery (probably wrong spelled ^^). -- I'd love to win the FALL set, please. I'd love the fall prizes, I'm following via GFC as Jasmine1485. liked blue vanilla on facebook! i follow blue vanilla's blog on GFC! liked jackie's mark. eboutique on facebook! i follow jackie's blog on GFC! Hi dear congrats on your 1st year!! I'd like the Fall Set. My GFC name is Piper Alexander and my email is cheapandchicinchicago@gmail.com. Happy Blogiversary! I like both sets! I liked Blue Vanilla via Kayla Marie English. I followed Blue Vanilla on Twitter via Kaylayoeee. I liked Jackie's eBoutique via Kayla Marie English. Followed Living After Midnite via GFC. Followed There can be only Juan via GFC. &Finally I followed Oomph. on twitter via Kaylayoeee. Gurl. Friend. Congrats on a year! You know I'm a follower (merciblahblah - durrrr). Sign me up for that summer look for the starfish cuff alone. For reals. till the elephants come home. looking back at what's ahead. experimenting with extremes. stripes deux. one + one = practical. sponsor love. jackie's mark. eboutique.